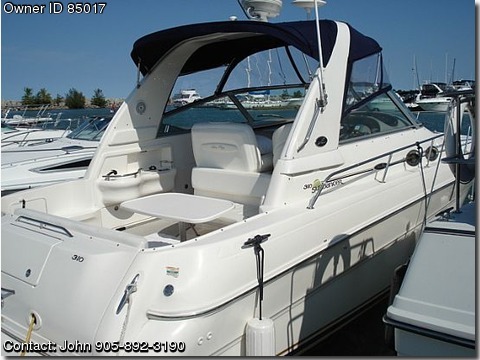 Twin 350 EFI, 260 hp, 300hrs. Bravo III, Stainless Duo Prop, Generator, Air/Heat, windlass. New in 2008 canvas/windows, carpeting, bottom paint and hot water heater. New Optima batteries in 2006. Raymarine C-70 chartplotter, Tri-Data, radar, dual controls, Cherry interior. 40MPH+.